Yes, we will serve You, Lord! You alone are worthy to be praised! Yes, we’ve come to worship You! O Lord God, the Beginning and the End! Your great love has saved us from our sin! Lord, we bless Your Holy Name! Yes, we bless Your Holy Name! We love You, O Lord God! Yes, we love You, our Lord God! You alone are worthy of my praise! Lord, I’m here to worship You! 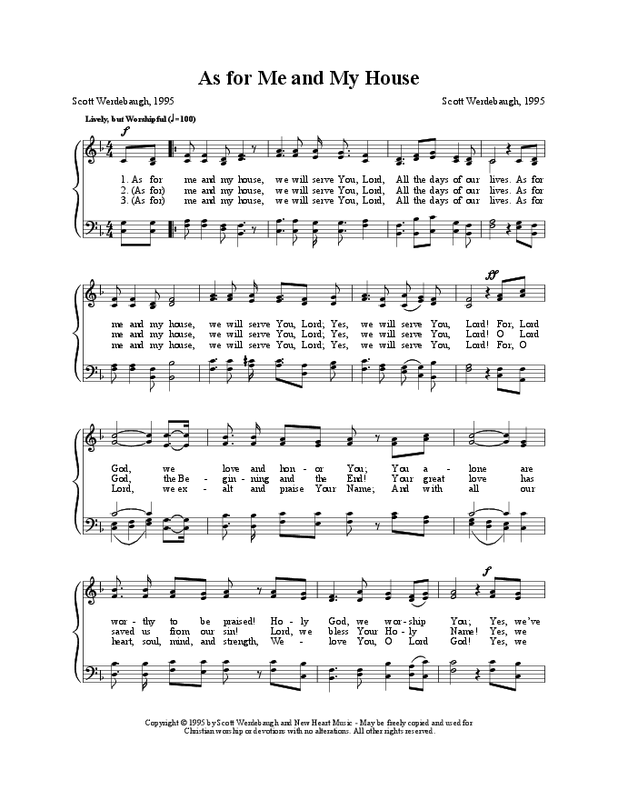 Copyright: © 1995 Scott Werdebaugh These words and music may be freely reproduced or published for Christian worship or devotions, provided they are not altered, & this notice is on each copy. All other rights reserved.